Tiberius Arms - T8.1 Black SOCOM Edition with threaded barrel, mock silencer and laser sight. 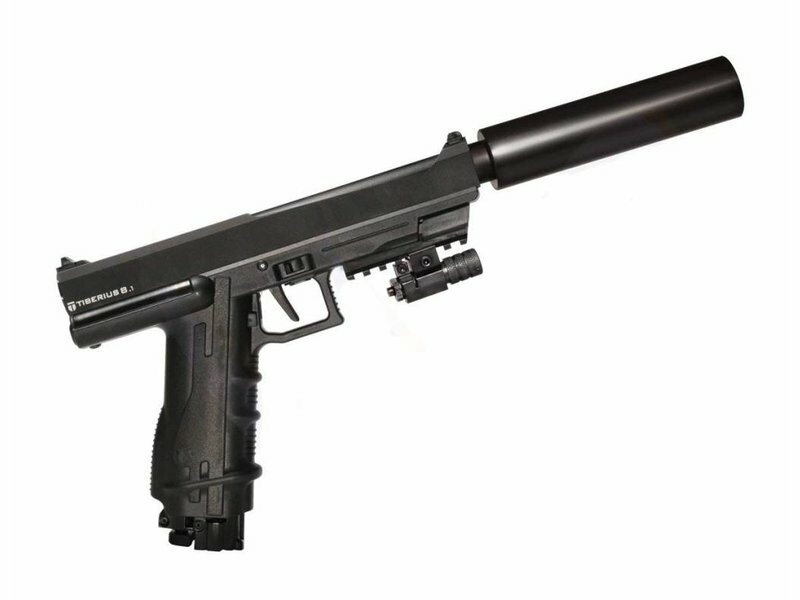 The Tiberius T8.1 SOCOM Edition. 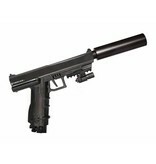 This edition comes with a threaded barrel at the muzzle to accept a screw on mock silence. The magazines hold 8 paintballs and 1 12gr CO2 cartridge, which reseals when the mag is removed to reload paintballs. Each CO2 cartridge will fire approximately 3 clips, 24 balls. 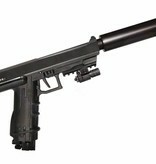 Finally, it gives paintball pistols the authentic feel and look of a real pistol.